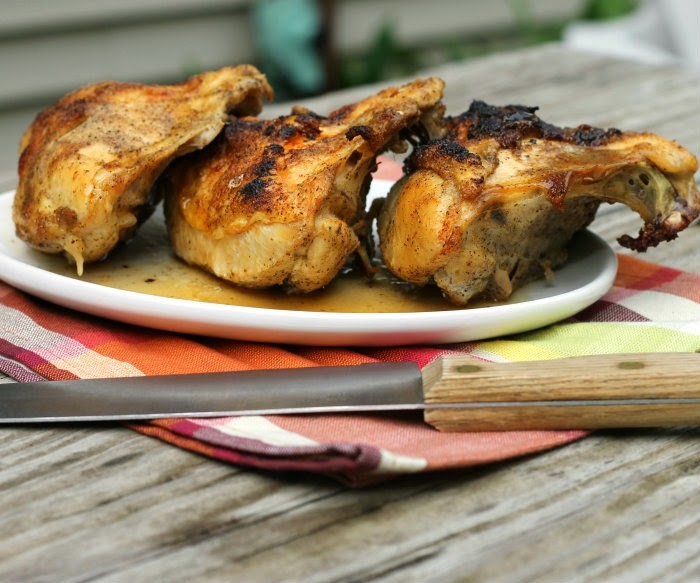 This is a simple recipe to roast chicken… split chicken breast with bone in and skin on. Mike and I took a short road trip this past weekend. This is the second time that we have done this (just the two of us); we get in the car, pick a direction, and start driving. We don’t have plans on where we will end up; we just drive and stop to see things that we think will be interesting. It is so much fun and we see some pretty amazing things along the way. Mike was lucky enough as a kid to take road trips with his family; whereas I grew up on a dairy farm so we weren’t able to travel too much. When our kids were little we took them on a lot of road trips, but then we always had a destination planned. Mike’s love of road trips has really rubbed off on me; we plan on doing more of these trips as time allows. So when we returned home I wanted something simple for dinner the night and something a little on the healthier side. It seems when we are traveling I like to indulge a little too much. I found a very simple recipe for roasted chicken breast that sounded good, so I decided to go with that. There was no slicing or dicing in this recipe just mix some seasoning together and sprinkle over the chicken… pop it in the oven and bake until done. It was juicy and tender when it came out of the oven. 2. Prepare a baking pan by lining it with aluminum foil and then spraying with non-stick cooking spray. 3. Wash and pat dry the chicken with a paper towel. 4. Add all the seasoning to a small bowl and mix well. 5. Brush chicken with the olive oil on both sides. 6. 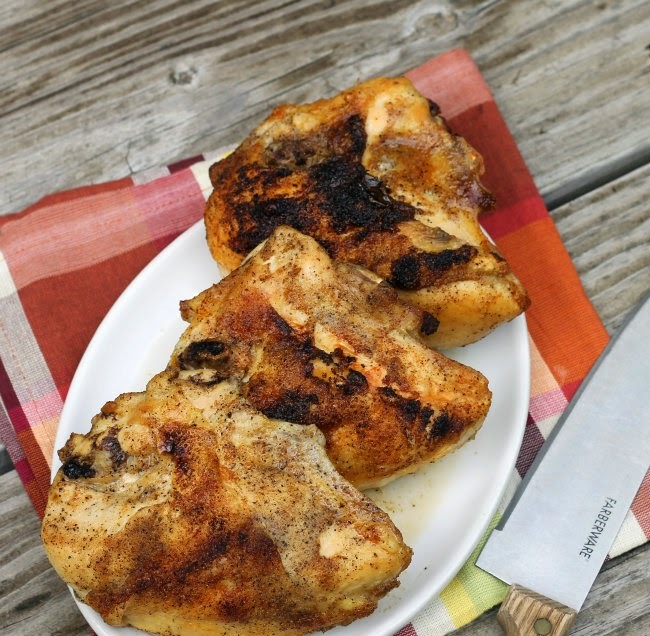 Take your seasoning and sprinkle over the chicken, making sure that both sides are covered. 7. Place chicken in prepared pan, skin side up. 9. As always feel free to adjust the seasonings, I know that we do not all like the same seasoning or amount of seasonings. So easy and flavorful. I posted something similar to this but I cook it on the grill. It’s fun taking those no-destination trips, isn’t it? We haven’t done one in ages, and need to again. 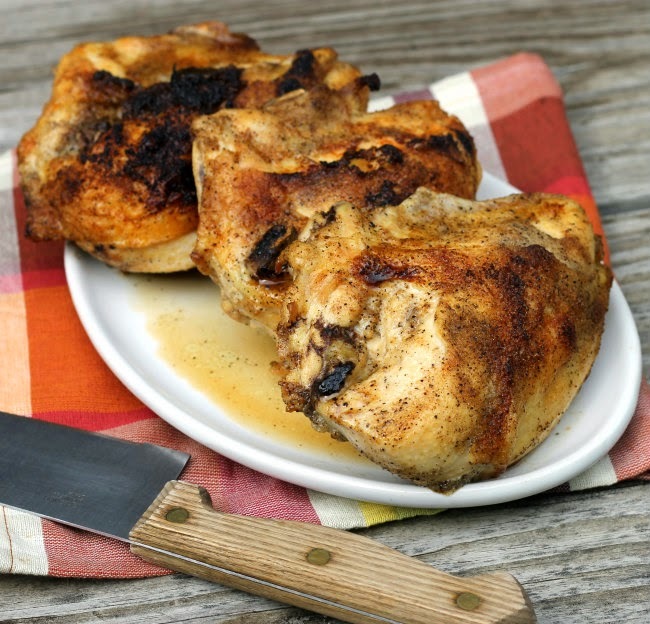 Great recipe — I never get tired of chicken! Thanks so much.